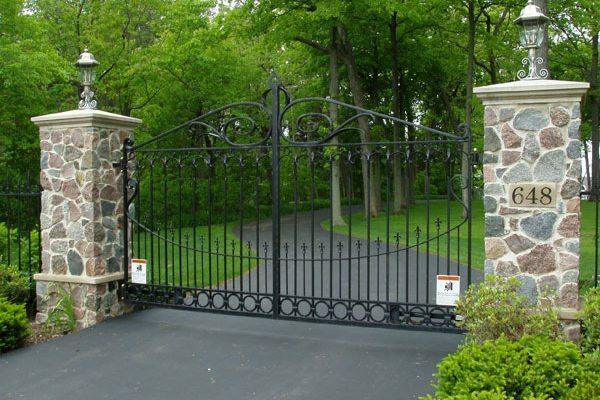 It is important the gate openers work reliably to open and close the gate at will. It is of equal or greater importance that the system is equipped with the proper safety equipment to protect against injury and meet code. 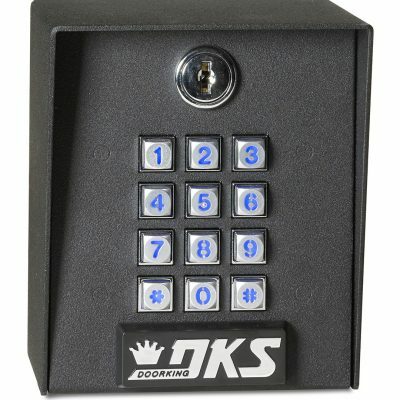 Secure access using entry codes right from your vehicle. Wireless keypads provide cost effective solutions for low volume applications but are not the right choice for every system. 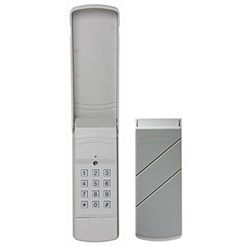 Telephone entry systems provide communication from the keypad to a phone through a designated phone line or intercom. 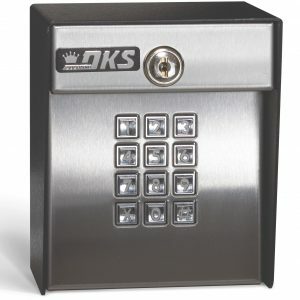 Various features with these keypads include local access control, remote access control, notification of request to enter, and gate hold open options just to name a few. 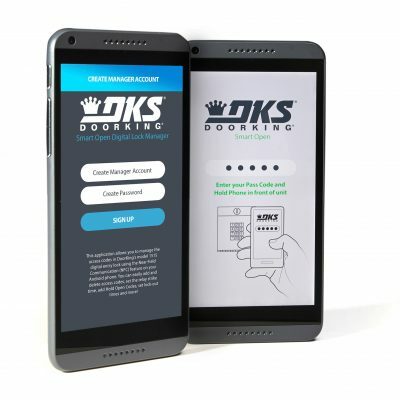 Modern smartphones with Android operating systems have the capacity to transmit Near Field Communication (NFC). In conjuntion with a free app, you can program a keypad or hold your phone close to it to open your gate. 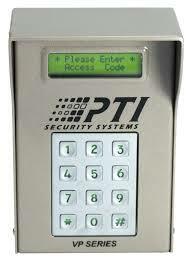 An excellent access control solution for raised security are card readers. 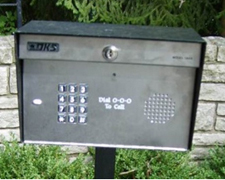 Unlike keypads, entry codes cannot be shared, limiting access to the person physically possessing the card. 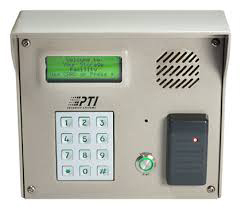 The most useful and common way to control a gate is through the use of radio transmittter remotes in conjunction with a radio frequency receiver. 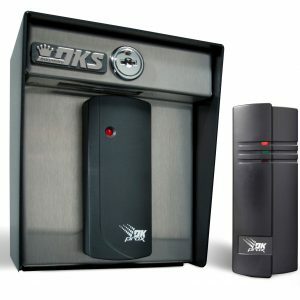 This allows control of the gate from the comfort of inside a vehicle or building. Range may vary. 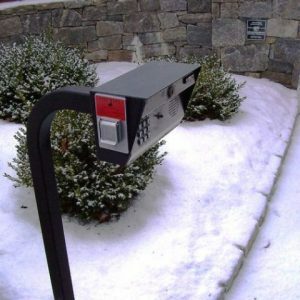 Power Gate Opener Systems is committed to the highest safety standards for our power-operated entry systems by meeting and exceeding the requirements of the UL325 standard. Our entry-systems are tested extensively to ensure that they comply with this code. 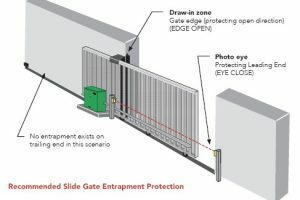 Among these safety standards are easily visible warning placards placed on both sides of the gate, and external sensing devices that protect against entrapment. Inductive loops layed under the pavement or cut into it provide convenience and protection for equipment. Loops on either side of the gate stop the gate from closing on a vehicle while an additional loop down the secure side of the driveway starts the gate opening as the vehicle approaches for effortless exits. 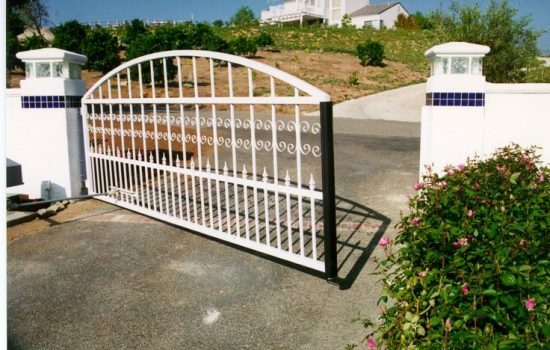 Gates with openers are reqired by various building and fire codes to meet safety criteria. 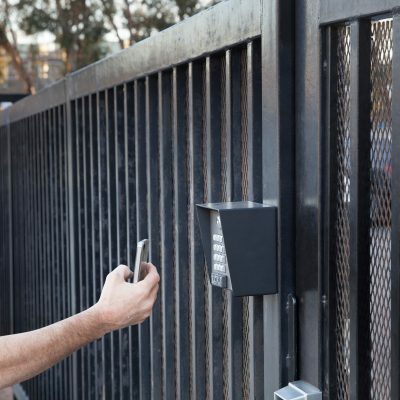 Be sure your installer is familiar with the requirements and standards for the industry to ensure safe operation of your gate opener system. Safety equipment is specifically designed to protect persons against injury or death and must be present on all gates that are connected to power openers. Contact sensors reverse the gate after the gate has made contact with a person or object. 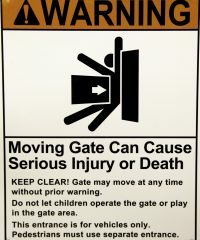 This allows safety equipment to be mounted on moving gates to protect spaces that cannot be protected by other safety sensors. Non-contact sensors are the preferred method of safety equipment because the gate will reverse before hitting a person or object. The most common method of non-contact sensor is a photo-electric eye. We strongly recommend using a thru-beam style which has an infrared transmitter and an infrared receiver. In the upper midwest we have seen photo-electric eyes that use reflectors fail time and time again. The eye receives the infrared beam and allows the gate to function until the beam is broken for a person or object at which point the gate reverses. These are often used across driveways. Looking for more information on activation and safety?